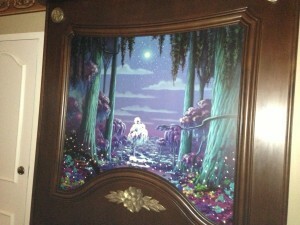 Riverside Rundown-Why Port Orleans Riverside is a Great Choice! Combine a great theme, perfect story telling, a hint of luxury, lots of recreation, and a dash of Disney Magic and you will get the southern inspired Port Orleans Riverside. This resort is a wonderful choice for families, couples, friends, or solo travelers who want to experience a real resort feel to their trip without blowing their budget on a deluxe resort. Port Orleans Riverside is divided into to distinct areas; Magnolia Bend and Alligator Bayou. In the Magnolia Bend area you will feel as though you are among the stately riverside mansions of years gone by. Beautiful landscapes evoke the feeling that an entire staff may be hard at work for the mansion dwellers. Fountains glow at night and the sassogoula river flows gently in the foreground. The rooms are beautifully appointed and it is in the Magnolia Bend area that you will find the Royal Rooms. These rooms are stunning. With fireworks going off in the head boards and gifts left from each of the visiting princesses, it is clear that Princess Tiana put a lot of thought into these quarters! 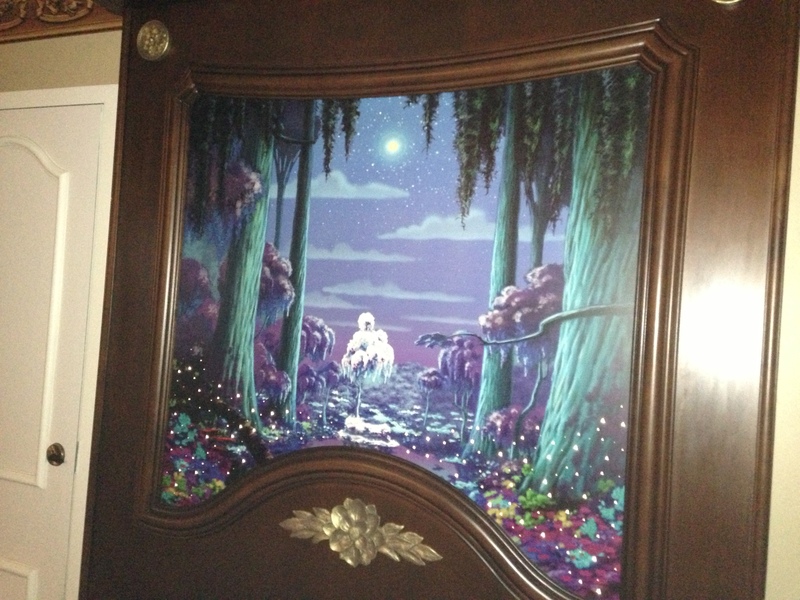 Headboard in a Royal Room! 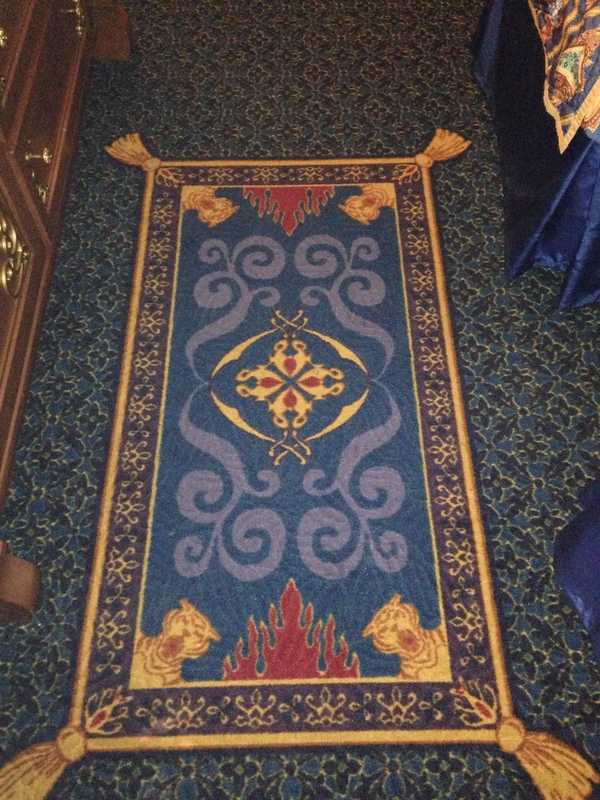 Princess Jasmine left her carpet as a gift! In the Alligator Bayou area you will notice the landscaping gets a bit more lush as you head into the back woods. The buildings look like wood lodges and have a very rural feel to them. Some rooms in this area sleep five guests, which is more than the standard 4 that most moderate level resorts sleep. This makes these rooms a very sought after commodity. Though five people may feel a bit crammed in the room, it is still a great option for budget minded families that are a bit larger than average. 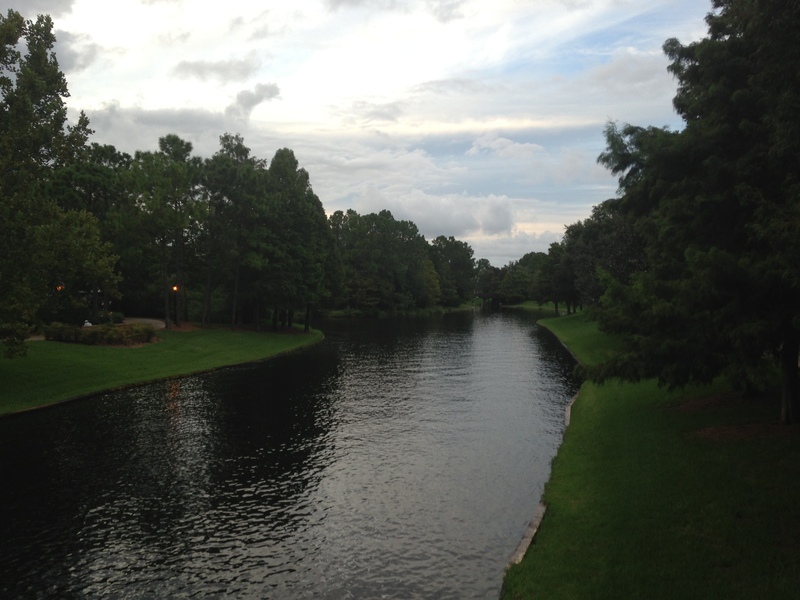 At Port Orleans Riverside you will find 6 pools; 5 quiet pools and one big themed pool known as ‘Ol Man Island. ‘Ol Man is where you will find the slide, hot tub, and pool side bar. The playground is also right near by making this a fabulous area for the family to take a mid day break! 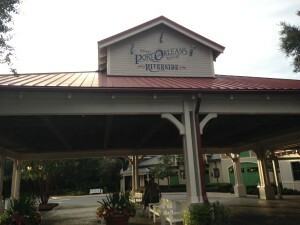 Port Orleans Riverside is also home to Boatwrights, a southern style sit down restaurant, The Riverside Mill Food Court, and the River Roost Lounge. The River Roost Lounge is a great place to enjoy a cocktail or catch one of Ye-Haw Bob’s fabulous live shows! 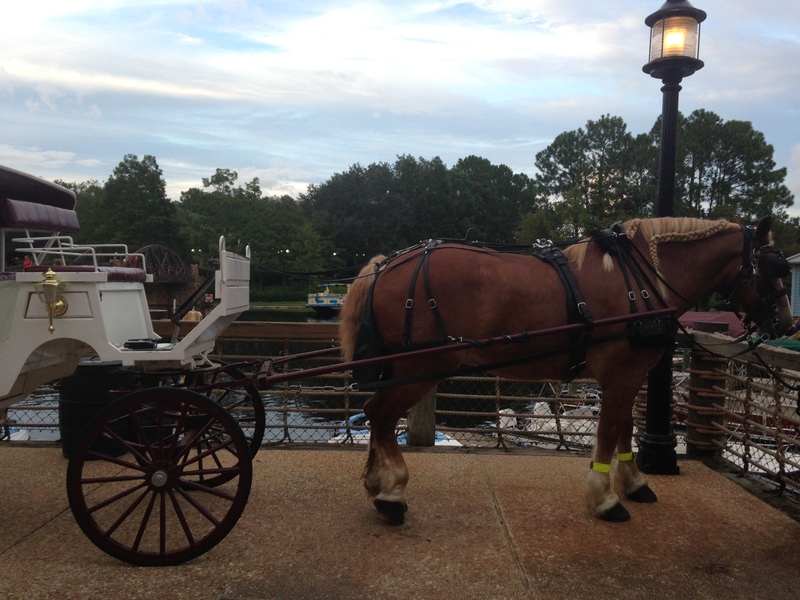 When your not at the parks, Port Orleans Riverside is host to many activities such as catch and release fishing, carriage rides, surry bike and boat rentals, and a wonderful arcade. You can even enjoy a cruise down the river to Down Town Disney to do some shopping for dining! Port Orleans Riverside is a great choice for any traveler and you will find it a superb value. Check it out for your next trip! Don’t forget if you book that trip with me, Jess@Pixievacations.com you will not only get concierge level service, but spending money as well! 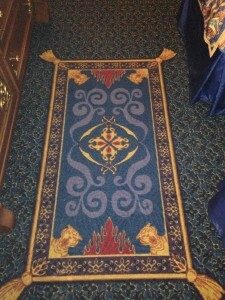 This entry was posted in Moderate Resorts, Resort Info, Resort Spotlight, Review and tagged Boatwrights, Down Town Disney, Port Orleans Riverside, Royal Rooms. Bookmark the permalink. ← Half Hour Break at The Tune in Lounge!